Tonight Maggie Rogers debuted her second single “Dog Years” via BBC Radio 1. Though her buzz received a boost from the virility of a video that featured a speachless and blurry-eyed Pharrell Williams, the 22 year old Rogers is a legimate songwriting talent. She broke into the mainstream consciousness with her debut “Alaska,” which was premiered to most music fans by way of a video featuring the bemused and floored Pharrell at her New York University Clive Davis class presentation. That song has gone on to be streamed over 21 million times in just a few months. Released tonight, “Dog Years” continues to blend her angelic, folksy vocals with a pulsating electronic backing, though it does not quite capture the out-of-nowhere feeling that “Alaska” had. 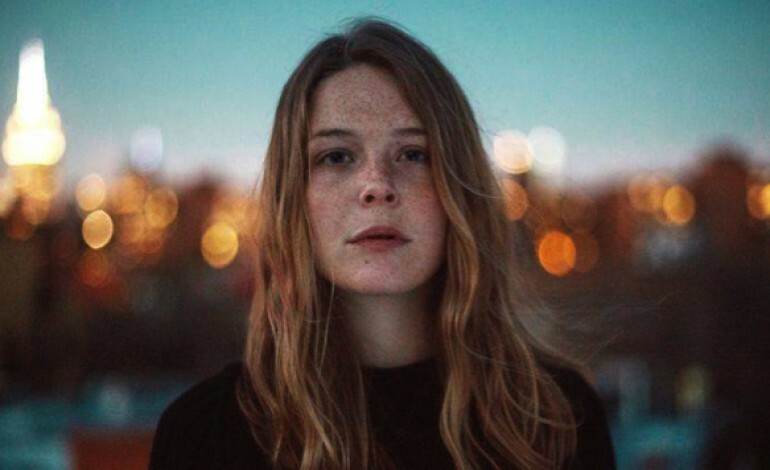 After the video was released and buzz spread across the internet, Maggie Rogers ended up being picked up by Capitol Records. The major label signing helped the singer to release a video for the breakthrough song “Alaska,” increasing the buzz about this idiosyncratic songwriter. The video captured a nation, and even Chelsea Clinton named the song as her “Most Listened” in a feature with Marie Claire magazine. The speculation will now center around her first full-length and whether it is able to capture the magic presented in Rogers’ first two impressive singles. UPDATE (11/3): Rogers has also announced the upcoming release of her debut EP on Capitol Records in February of 2017.